Roatan is mostly known for two things -- beaches and adventure. On the famous Zip 'n' Dip Canopy Tour, you can enjoy both of these and make the most of your time in port. First, experience the thrill of flying from platform to platform on a 1.8-mile (3-km) zipline course in the heart of Roatan's jungle. 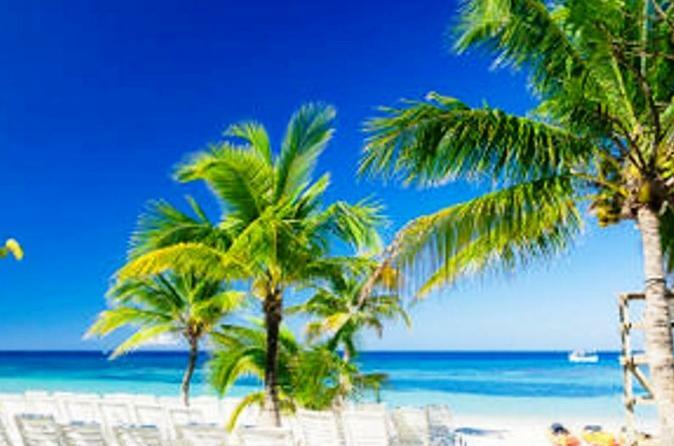 Then, it's off to the crystal-clear waters of the Caribbean for a refreshing dip in the water! 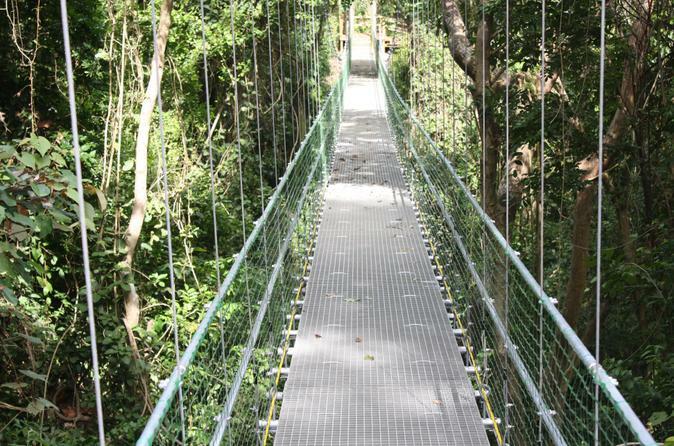 While in port on Roatan, take an eco-walk across eight amazing suspension bridges in the Caribbean jungle. 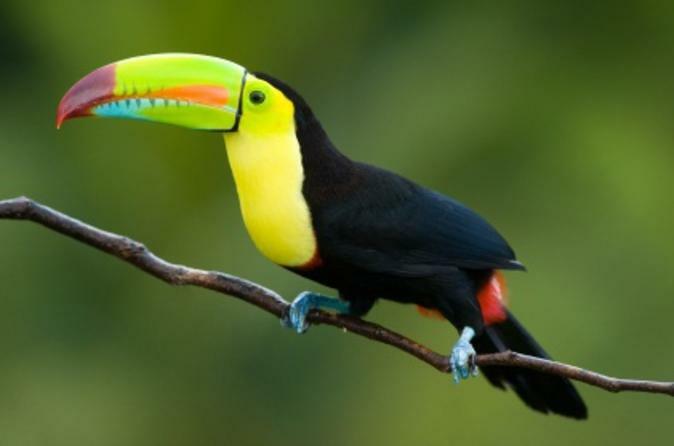 This half-day shore excursion includes a one-hour guided nature walk through the forest as you take in gorgeous views of island palms, tropical flowers, ‘Tarzan’ vines, birds and iguanas. Then, head to West Bay Beach for two to three hours of leisure time – the white sand, clear blue water, ocean breezes and welcome beverage will transport you to paradise! Receive personal attention on this small-group tour, limited to 10 people. 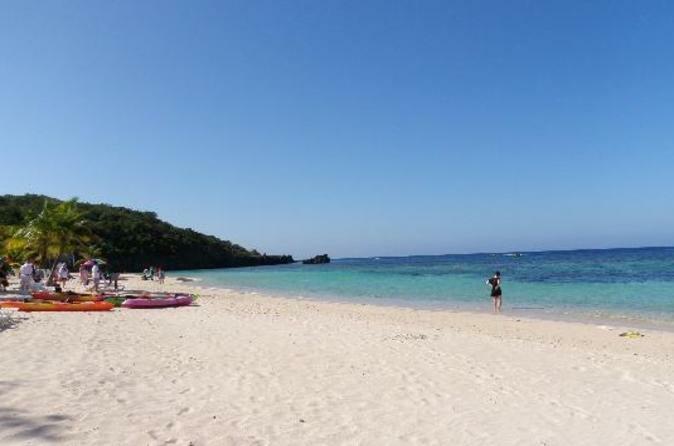 While in port on Roatan, leave the crowds behind with a half-day shore excursion to West Bay beach! Enjoy a brief west island tour and have a blast admiring marine wildlife or simply relaxing in the crystal-clear Caribbean waters. 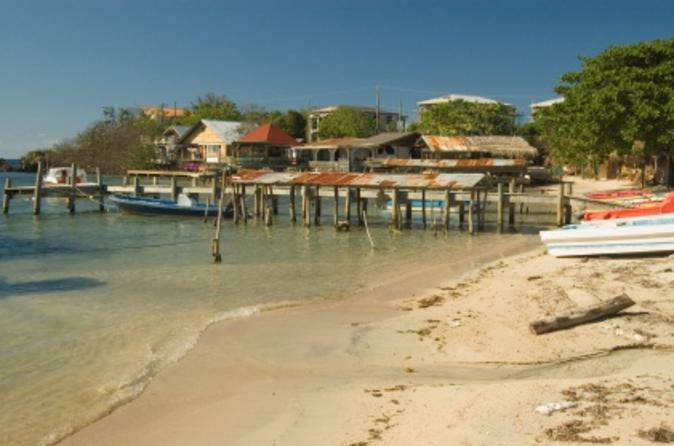 While in port on Roatan, visit the island’s popular west bay on this relaxing 4-hour shore excursion! Hop off your cruise ship and head to the a bird and monkey sanctuary, where you’ll admire native wildlife. Venture to a local market and browse impressive handcrafted pottery and wood carvings before relaxing on the island’s beautiful West Bay Beach. While you’re in port on Roatan, spend a day exploring the island’s mangroves on this 4-hour shore excursion! After pickup from your cruise ship you’ll be driven to Oak Ridge, the island’s oldest fishing village. Hop into a dory, a small motorized boat, and make your way through the beautiful mangroves. See amazing Caribbean wildlife and learn about the island’s fishing communities from your local guide. While you’re in port in Roatan, explore the tropical island’s east end away from the crowds on this relaxing shore excursion! Travel by car to a monkey sanctuary with your local guide and then visit one of the island’s sandy beaches for a snorkel excursion. 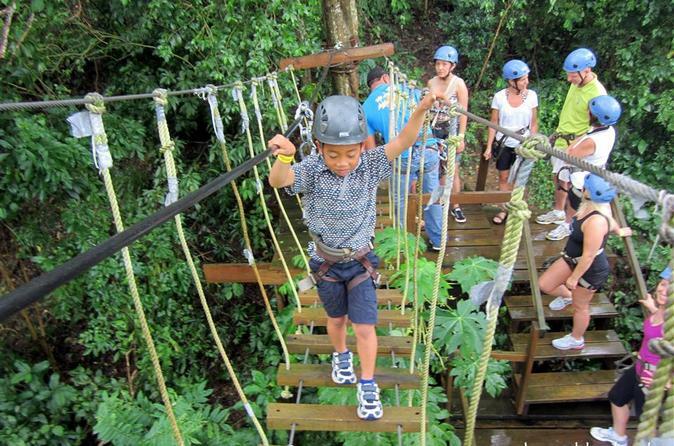 Join this half-day zip and dip adventure through the jungles of Honduras. You will also have the chance to visit the monkey park. 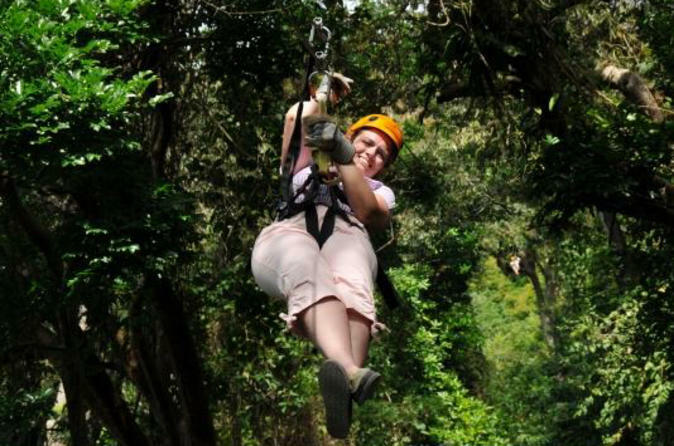 Fly across the jungle on one of the largest zip-lines in Central America. With 18 platforms this thrill ride gets your blood pumping, and has you wanting more and more after each ride. This tour is great for all ages and we accept anyone from beginners to lifelong thrill seekers. We'll make sure you are absolutely comfortable and safe so you can have the time of your life. Our West Bay Beach break offers the very best in white sandy beaches on Roatan, boasting crystal clear water, abundant marine life, shore snorkeling, live music, local artisans and more! If you're looking for convenience and an action packed day, this is the perfect Roatan shore excursion for friends, families, or groups. Join one of the many aquatic adventures available, or relax by soaking up the stunning panoramic seascape and sweet Caribbean sunshine while sipping a local cocktail, or reading a book under the shade of the many palm trees. The resort offers fresh water showers, restrooms, restaurant, bar and live music. 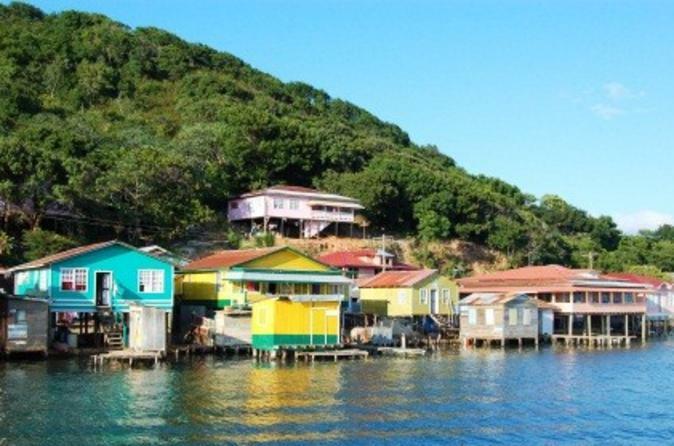 Experience two things in one day while in Roatan! 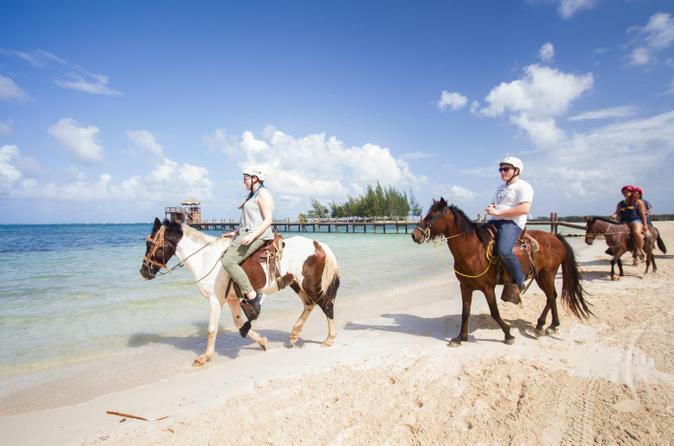 First, jump on a horse and ride through the lush jungles of this tropical island. Then, cool off in the crystal-clear waters of the Caribbean and grab a bite to eat before getting back on your ship. Two great activities for the price of one! 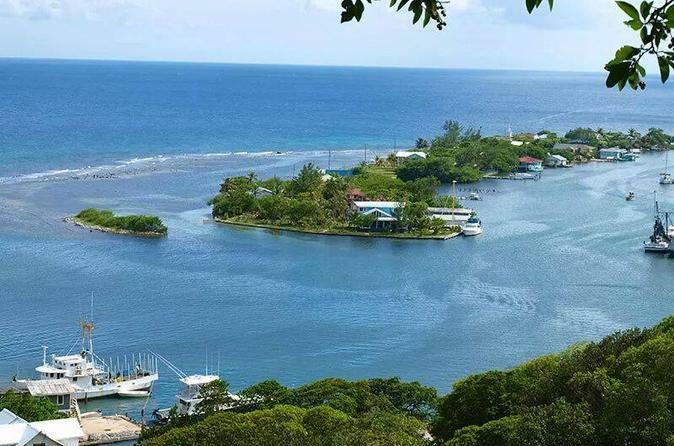 This private Roatan tour consists of shopping time, touring the East, West, and South sides of the Island and even free time for relaxing or snorkeling on the beach! Since this tour is private, you can do whatever you want, whenever you want. Some ideas for stops include attractions such as the iguana farm, botanical gardens, monkey stop (you can hold a baby monkey! ), canopy zipline, butterfly gardens, glass bottom boat, horseback riding, or visiting local schools and orphanages (attractions at your own expense).